In a thick bottomed non-stick pan roast the semolina in medium flame for 3 to 4 minutes , the initial roasting eliminates the raw smell of the semolina and it turns golden brown in colour. It will take more or less 15 minutes and then add in the sugar and the dry fruits –switch off the flame when the semolina glistening with the ghee. I love this dish… 😋. 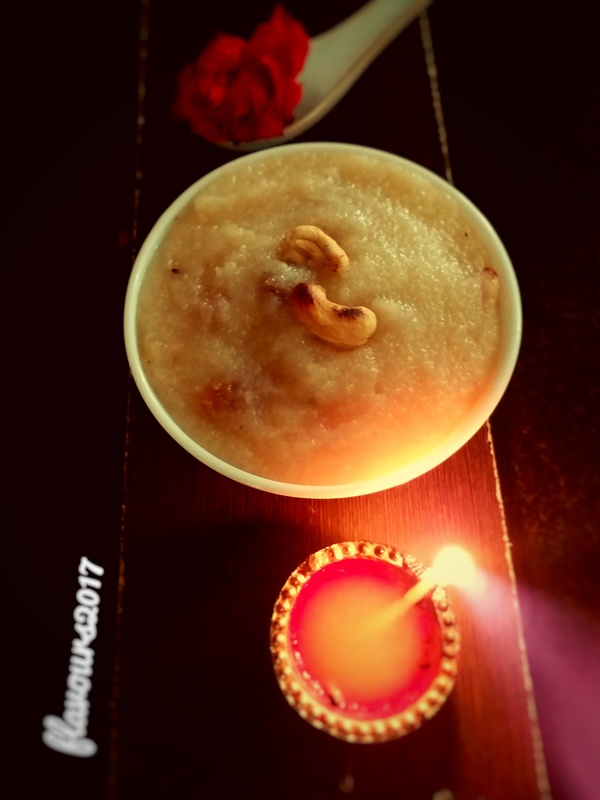 Suji ka halva. Looks so delicious! Nice to add milk in here !! Love Halwa…it really helps me in a good run.